Why Should I choose St. Michael’s? Electronic Version 2016-2017 Annual Report Attached Here…..
St. Michael’s has a fantastic social culture where many new members just play in random groups for the enjoyment of meeting young entrepreneurial like minded golfers. St. Michael’s caters for every age of golfer. Club is also very fortunate to have a large group of young members ranging from the ages 20 – 40. This younger brigade have embraced the social culture St. Michael’s is well re-known for, but also taken upon themselves to assist the Club to strategically plan for the future. St. Michael’s is very fortunate to have one of the best junior elite player programs in the country with many recent years representative pennant flags donning the walls of the Clubs hallway of fame. Add the nurturing and informative junior cadet program lead by PGA Golf Professionals John Serhan and Anthony Summers held every Saturday afternoon, St. Michael’s has a vibe going on. Do I join St. Michael’s because it is a challenging test of golf? The St. Michael’s Golf Course is renowned for being a tough but fair layout. Not long in overall distance but intimidating and demanding driving holes. The Course has 5 sets of tees for all levels of golfers, which makes St. Michael’s the perfect Club for everyone. 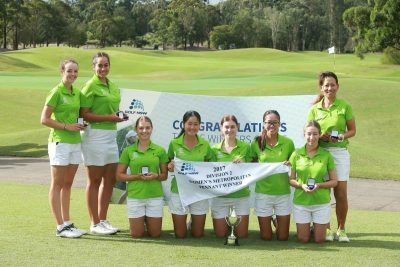 The course is consistently presented in fine condition, with arguably some of the best putting surfaces in Sydney. Despite hosting many Professional and elite Amateur events the course record is only 65, which was only recorded recently by Professional Ben Clementson. Do I like a progressive approach to course development and operations? The club employed Russell Fletcher as the Course Superintendent in October 2012. 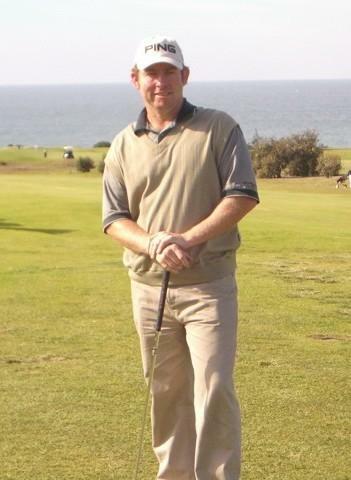 Russell comes to our Club with 30 years experience and was previously the Superintendent at The Lakes Golf Club from 1999 – 2012. A new Course maintenance facility including machinery fleet upgrades and water pump system have all happened since Russell’s arrival. In 2006 the course received a grass makeover with all fairways transformed form a kikuyu/cooch grass mix to a full cooch fairway. the 1st, 4th & 16th greens. 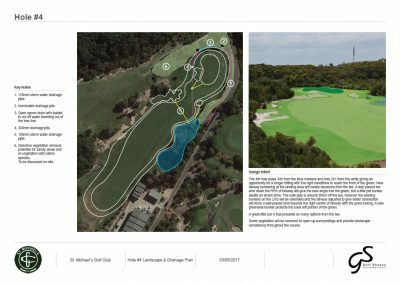 credentials are somewhat overshadowed by the golf course designers named attached to the various projects. 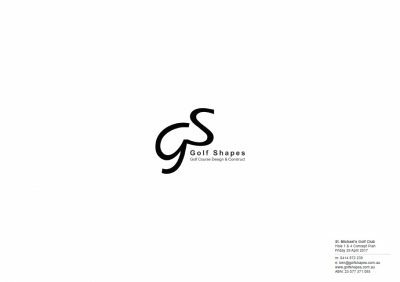 Golfshapes have realised that in many cases they do the design work , and therefore have ventured out to include course design works as part of their repertoire. With 3 new greens and the shortgame facility now open, members and visitors have been glowing with their praise of the recent works. Or is it simply the great location? Where else in Sydney can you play golf on a championship course with magnificent ocean views, not see a road or hear a car, no plane flyovers or routing, protected Eastern Suburbs Banksia Scrub with so much natural beauty and occasional wildlife. Add the whale migrating north and south, basically at the doorstep of the main clubhouse verandah viewing. 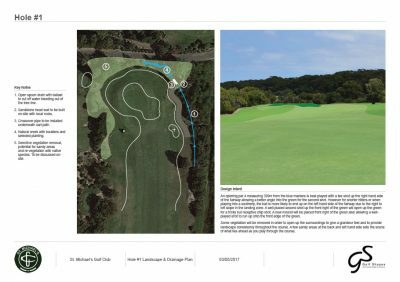 St. Michael’s is one of the few established golf courses that has fast tracked its position to the top 50 courses of Australia. 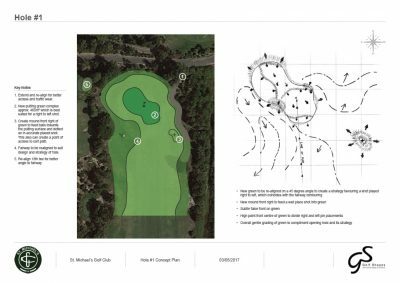 The following document encompasses the specific changes to the Greens and identifies the ‘Sandy Area’ that the CMP proposed in 2003 had not included.All 18 greens are redesigned so they are a uniform style and design. 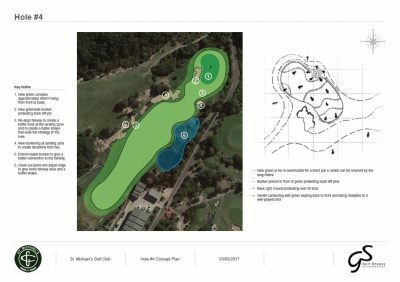 The aim of this design is to bring the course back as close to the original links style as possible and remove the amphitheatre style and other green designs.